Bridge the gap between outdoor style and streetwear cool with comfort in the SKECHERS Soven - Vandor shoe. 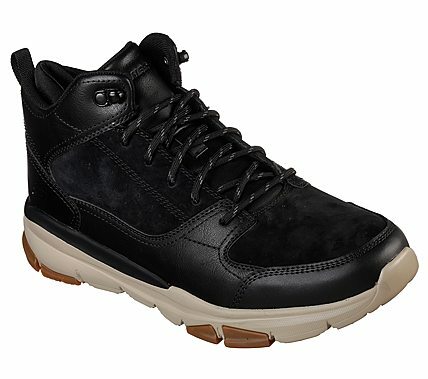 Smooth soft nubuck leather upper in a lace up sporty casual comfort high top sneaker with stitching and overlay detail. Air Cooled Memory Foam insole, shock absorbing midsole.